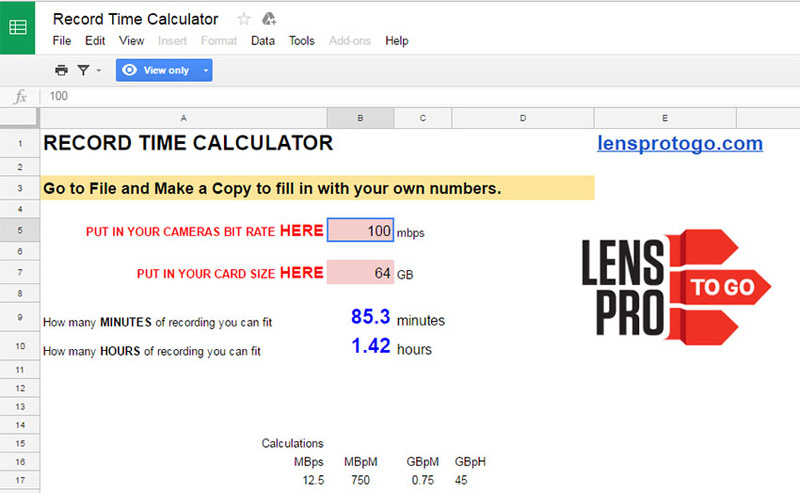 If you ever wondered what is the easiest and fastest way to calculate how many hours of footage you can store on your memory card or hard drive, this LensProToGo spreadsheet may be exactly the tool you’re looking for. It’s not only free for download, but it can instantly give you precise information about the amount of data you can store on virtually any storage media as long as you know what’s the exact bitrate that your camera uses to record video. Greg of LensProToGo covers the rest of details along with the actual workflow of using the calculator in the video below. All in all, this calculator is made for those of us who doesn’t want to mess around with any complex mathematical calculations, especially when being in a pinch. For instance, if you want to calculate the exact amount of minutes that can be stored on a 32GB memory card while shooting with the Canon C300 II, first you need to convert the recording bitrate from megabits to megabytes per second. In this case, you should multiply the bitrate of 35 by .125. Now that you have 4.375 MB/sec, you need to multiply that number by 60 to turn that into MB per minute. If that isn’t enough, you have to divide the latter (262.5) by 1000 to figure out how many Gigabytes per minute your camera records. To get the exact minutes that will fit on a specific card, divide the card size by the last number you’ve just calculated. 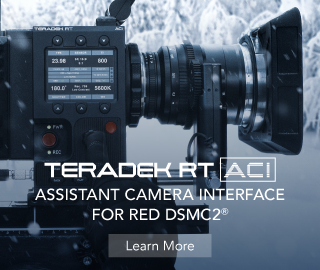 That’s how you’ll figure out that when shooting with the Canon C300 II at 35Mbps, you’ll be able to fit exactly 121.9 minutes of footage on a 32GB card which is just over two hours. But, that’s a lot of redundant calculations, right? Well, you can save all the headaches and leave the testing of your math skills for some other time by downloading the free spreadsheet provided by LensProToGo below. Simply put in your camera’s bitrate along with the card size you’re using and the calculator will do the rest for you. That’s how you will always know the exact amount of minutes (or hours) you can capture regardless of the storage media you currently use. It’s just as simple as that.